At MGA, we're excited to show off all that our five (5) campuses have to offer and to answer your questions about the college experience at MGA. Dependent on your needs we offer several different ways to tour and learn about our campuses. Take a look at the different options available and register for the one that fits your needs best. Prospective students and their families are encouraged to register for any of our Open House events where we offer the experience to tour and learn more about our campuses. If you cannot make it to an Open House, click below to register for a campus tour. Our new and accepted students have the opportunity to visit and prep for their new venture as an MGA student on any of these campuses: Cochran Campus, Dublin Campus, Macon Campus or Warner Robins Campus. Event duration: 12:30 p.m. - 3:00 p.m. If you cannot make it to an Orientation, click below to register for a campus tour. Click below to register for a weekly campus tour. Campus Tours can be scheduled online for the Cochran, Macon and Eastman campuses. The Dublin and Warner Robins campuses are by appointment only. These tours are mostly outdoor walking tours with some stairs involved. Please dress comfortably and check the weather before you come. If you are more than fifteen minutes late, we cannot guarantee a tour. 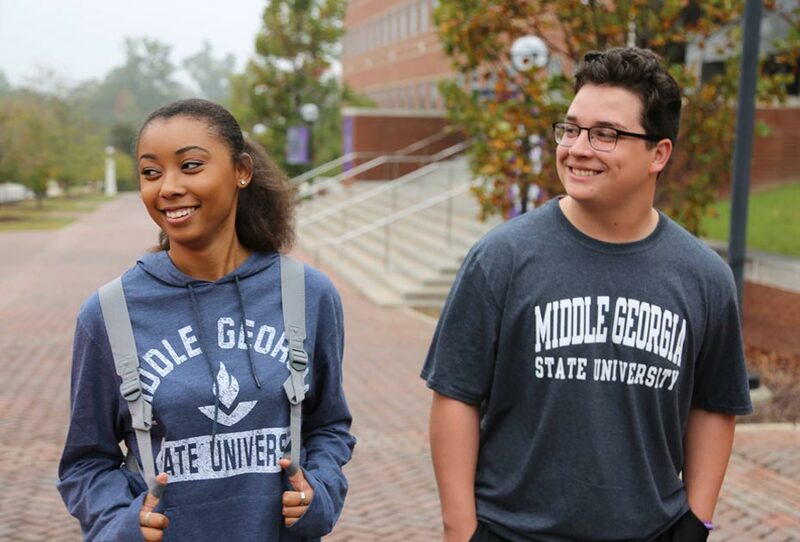 We look forward to your visit with us at Middle Georgia State University! Tour registration typically opens 4 weeks before the tour date. Tours subject to cancellation if the weather does not permit. If you are interested in your school or organization visiting either the Macon campus or the Cochran campus we encourage you to learn more about the group tour times and services available and to register for your most convenient day. More information is available for our High School Counselors.